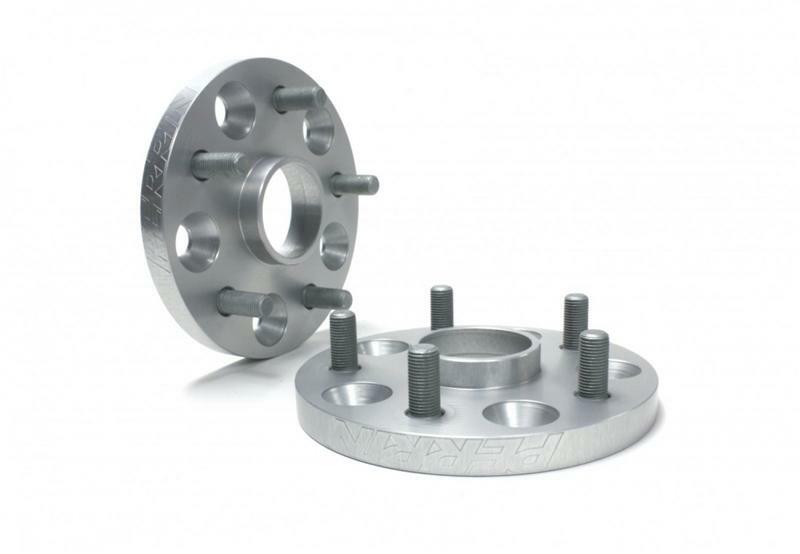 PERRIN wheel spacers feature a ‘perfect fit’ hub-centric design that makes the spacer function as a precise extension of the axle hub, thereby guaranteeing precision wheel fitment. Constructed from a proprietary aluminum/magnesium alloy PERRIN spacers are engineered, and manufactured by H&R Special Springs in Germany. PERRIN Wheel Spacers are extraordinarily strong and lightweight. Additionally, they feature a hard anodized coating for surface durability. Place a straight edge flush with the face of the wheel and tire combination. Make sure the straight edge touches the tire in two spots to keep the straight edge even with the tire. Use the measuring device to measure from the inside of the straight edge to the inner fender lip. (see illustration) Make sure that the measurement is taken at the point where the wheel and tire is closest to the fender. For instance, on a car with a large amount of negative camber the tire and wheel may be closest at the front or rear edge of the fender.